"At Freeborn, that’s how we look at litigating matters. Strategy is critical and creativity in those strategies is what makes us great lawyers. But, even the greatest strategy in the world is useless if it doesn’t reflect our clients’ goals and aspirations. By making your focus our focus, we help litigation be more of a reflection of your business goals." 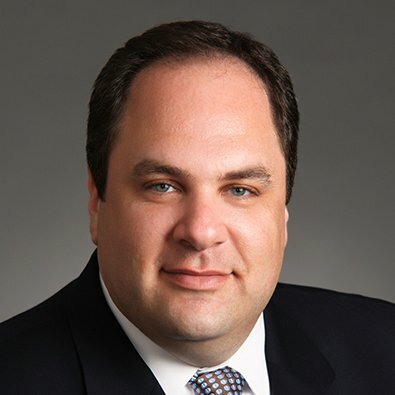 David Becker is a Partner in the Litigation Practice Group and a member of the Emerging Industries Team. David maintains a diverse litigation practice handling complex commercial matters ranging from patent infringement enforcement and defense to employment discrimination claims, trade secret disputes, enforcement and avoidance of non-competition agreements, fiduciary duty claims, securities fraud actions, common law fraud claims, contract disputes, foreclosure proceedings, bankruptcy-related adversary proceedings, insurance coverage disputes, product liability litigation and real estate disputes. In those matters, David has obtained significant trial experience before juries, judges and arbitrators and has represented clients in federal courts, state courts and before government agencies including courts in Illinois, California, Delaware, Indiana, Michigan, Nevada, New York, New Jersey, North Dakota, Pennsylvania, Washington and Wisconsin and the International Trade Commission. Co-author, "Recent Developments in Business Litigation," ABA Tort Trial and Insurance Practice Law Journal (2014 and 2015). Quoted in "Apple, Google, Intel, Adobe Anti-Poaching Settlement Gets June Hearing," eWeek.com (May 28, 2014). Panelist, "'No Sir! You Can't Steal My Clients! Or Maybe You Can...' Effective Strategies for Preparing, Negotiating, Litigating and Avoiding Restrictive Covenants, ABA Webinar (November 2018). Moderator, "Protecting Intellectual Property in the Legal Cannabis Industry," ABA Tort Trial & Insurance Practice Section, ABA Annual Meeting, Chicago, IL (August 2018). Moderator, “Blockchain and Smart Contracts,” Freeborn & Peters Emerging Technologies Symposium, Chicago, IL (July 2018). Co-presenter, "Hot Topics in Commercial Litigation: Amended Discovery Rules, Cyber-Litigation, and Arbitration Provisions," Freeborn & Peters CLE Forum, Chicago, IL (August 2016). Co-presenter, "The Ostrich Syndrome: You Can't Avoid Intellectual Property Issues in Today's World," ABA Tort and Insurance Practice Section, ABA Annual Meeting, Chicago, IL (August 2015). Co-presenter, "You Don't Know What You've Got 'Til It's Gone," ALM Webinar (2013). Are you prepared for how cryptocurrency, blockchain, smart contracts and other new technologies will impact your business?